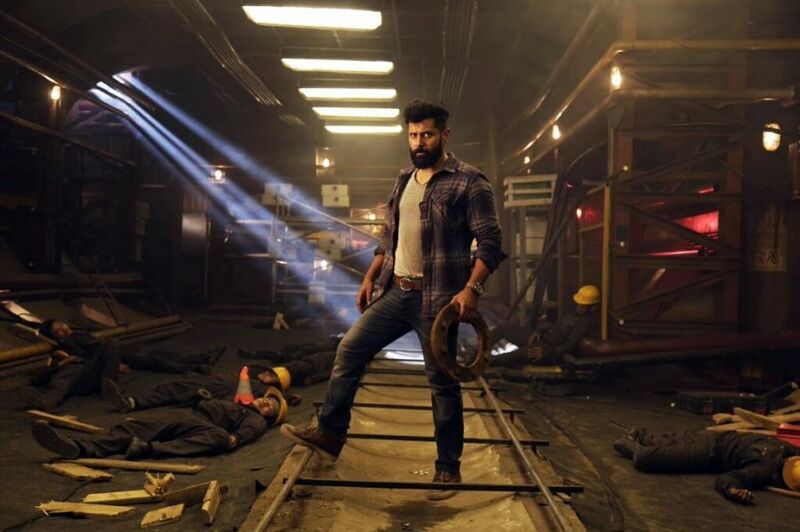 Vikram’s Iru Mugan is an upcoming Indian Tamil mystery thriller film written and directed by Anand Shankar. The film features Vikram, Nayantara and Nithya Menen in the lead roles. The soundtrack of the movie was composed by Harris Jayaraj. In this poster Vikram is looking very rough with beard. Poster is taken from action episode of movie. First look poster getting very good response from mass audiences and fans of Vikram. With single poster team increases expectations on movie. Producer Shibu Thameens spends more money for good quality of film. Producer spend nearly four crore rupees for a single set in action scene. Vikram, director and producer all are taking this film with full confident. In this film along actor Vikram, great actress Nayantara, beautiful actor Nithya Menen, talented actor Nassar and some other were appearing in supporting roles. This movie is also having high expectations like I film of Vikram. Movie makers are planning to release on July 8th for Ramzan festival.